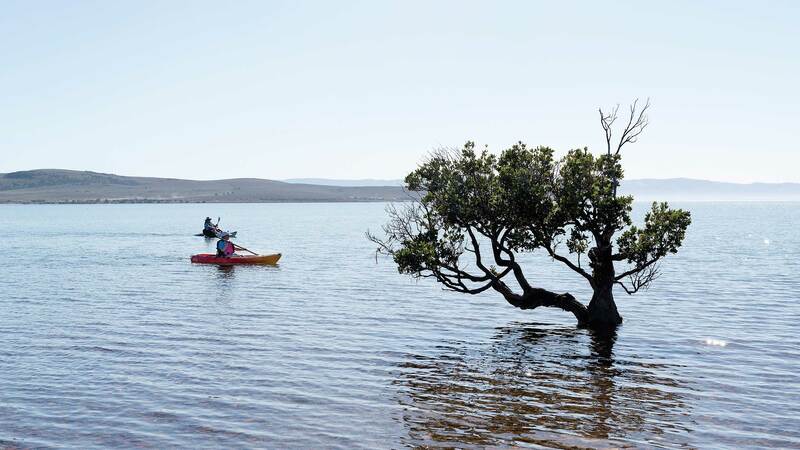 Unearth the coastal and aquatic experiences in Whyalla. Leave your life behind for a time. Let the spirit and wonders of the ocean and the land aMAZE and awe you. Historic dunes of shingle deposits over 7000 years old are framed by the back drop of the ancient Flinders Ranges across the Spencer Gulf waters at Fitzgerald Bay. Alongside you will find army exercise boundary lines providing unspoilt and sweeping views across outback and salt bush country. Tracks and trails get you to picturesque fishing spots and bush camps where you can unearth seas and skies of azure blue, and sunsets of blazing red and gold and dusky hues of mauve and pink. Tens of thousands of the Australian Giant Cuttlefish reproduce around the underwater rocky ledges at Stony Point. Alongside you will find a refinery boundary where the cuttlefish aggregate offshore and are kept safe to breed with exclusion zones. Tracks and trails get you to rocky shoreline access points to snorkel or dive to witness this incredible spectacle unique to Whyalla. Further along at Point Lowly or False Bay encounter beaches and seemingly endless sandy bays. Jetties create underwater marine habitats and places to fish from and marinas create interesting havens for resident dolphins to visit and play. Whyalla is situated within the Western Myall plains of the north-east Eyre Peninsula. The land formation of the region includes a narrow continuous strip of salt marshes and sand dunes, often fringed with mangroves on the seaward side and large flat plains to the west bordered by the Middleback Ranges to the far west. The soils are typical of the semi-arid regions of Australia – thin red brown, alkaline sand and clay (Gawler Ranges Soil Conservation Board 1996 p36). The most significant public awareness of the Whyalla marine environment is the Australian Giant Cuttlefish (Sepia apama). A fisheries management program was established, which includes an exclusion zone in the main breeding area (False Bay – Pt Lowly). Research is continually being undertaken to learn more about this unique marine animal and it's mass aggregation in Whyalla waters. A mecca for divers wishing to witness a mesmerising underwater spectacle of the courtship displays and the extent of the world’s largest aggregation of Giant Australian Cuttlefish - a privileged experience exclusive to Whyalla.